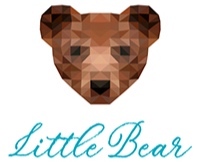 Little Bear | Personalized Apparel, Paper, Home & GiftsLittle Bear Paper Co. Welcome! Little Bear is a locally-owned business specializing in all things personalized - apparel, party supplies, stationery and gifts. Whether you are looking for everyday household items or need someone to help design and print your school’s spirit gear we can help you! And for your stationery and invitation needs we have partnered with WH Hostess Social Stationery and Printswell to bring you a huge selection of unique designs at great prices. We also offer design services to create custom logos, t-shirt designs, party invitations and more!